Norton, MA – May 23, 2018 – CFS, Inc., a growing marketing services company providing “Client Focused Solutions” to both non-profit organizations and businesses, is excited to announce the launch of MailTracker, a free service to all CFS produced direct mail campaigns that will track your mail through the USPS mail stream to delivery. 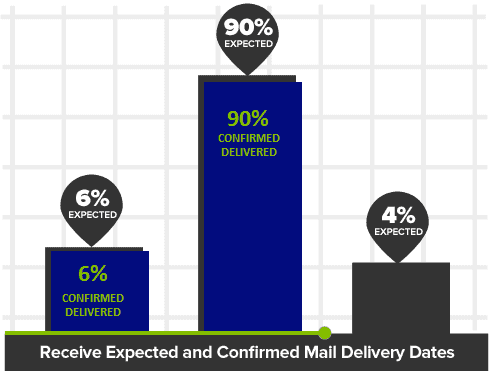 View the results of your direct mail campaign through your dedicated CFS dashboard. See the quantity of mail projected to be delivered, quantity confirmed, as well as the date it was delivered. With this information, you can follow up with your prospects, customers, or donors soon after they receive your mailing. Take advantage of this valuable MailTracker service by calling the CFS team at 508.285.2800. Founded in 1990 in Massachusetts, CFS has been servicing clients throughout New England for more than two decades. What began as a marketing fulfillment company has since grown to include expanded offerings to accommodate the ever-growing need for additional marketing services including direct mail, event support, online marketing, print, signage, and eCommerce.